Japanese Mitsubishi ATD-X Shinshin stealth fighter aircraft ready for first flight. 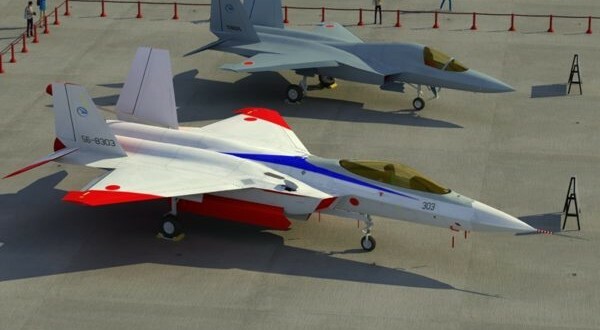 The ATD-X, known in Japan as Shinshin, meaning “spirit of the heart,” is a research prototype being used to determine whether domestic technologies for a fifth-generation fighter are viable. If successful, the ATD-X will undergo further development and modifications in the hopes of leading to an F-3 fighter that will enter service starting 2035. The experimental aircraft is currently under development by the Japanese Ministry of Defense Technical Research and Development Institute, with Mitsubishi Heavy Industries (MHI) signed on as the main contractor of the project.